IRISH JOCKEY CHRISTOPHER Timmons has been handed a four-year ban from riding after testing positive for cocaine during a meeting in Mayo in May, the Irish Horseracing Regulatory Board (IHRB) confirmed. The Meath native pleaded guilty to taking the banned substance and his suspension has been backdated to 14 June, the day after his last ride. Timmons, 29, was tested at Ballinrobe Racecourse on 28 May 2018 and his urine samples were found to contain Benzoylecgonine (metabolite of cocaine). Timmons, who made his professional debut in 2006 and rode eight winners last season, stated that he wished to return to race riding in the future. In a statement, the Referrals Committee said it would consider an application from Timmons for his licence to be reinstated after he has served a period of 12 months suspension. Email “Irish jockey handed four-year ban after testing positive for cocaine ”. 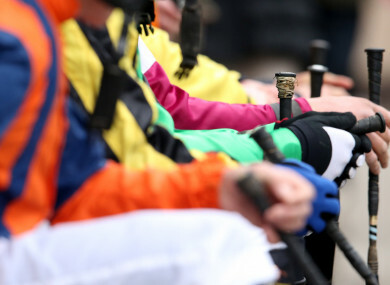 Feedback on “Irish jockey handed four-year ban after testing positive for cocaine ”.